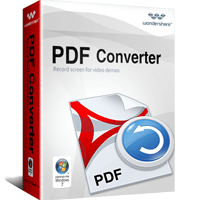 High Quality yet affordable PDF Converter. Convert PDF files into multiple popular document formats including Word, Excel, PowerPoint, and more. Create editable text files from image-only PDFs. Wondershare PPT to Video can convert Powerpoint Presentation files to video like PPT to MPEG (MPEG-1,MPEG-2), PPT to AVI, PPT to MP4, PPT to WMV, PPT to MOV, 3GP, iPod, iPhone, Zune, PSP, Pocket PC and Apple TV with excellent quality. Leawo PowerPoint to FLV is a handy PowerPoint tool that can fully retain the original elements to convert PowerPoint to flash video like PowerPoint (PPT) to FLV, MP4, MOV, 3GP/3G2, YouTube and more.